Use the Mike Dice Roller to roll the dice, and then do what each dice says: pass a monster token to the left, center or right. It’s dice-rolling time, and Mike and his monster buddies are here to help! 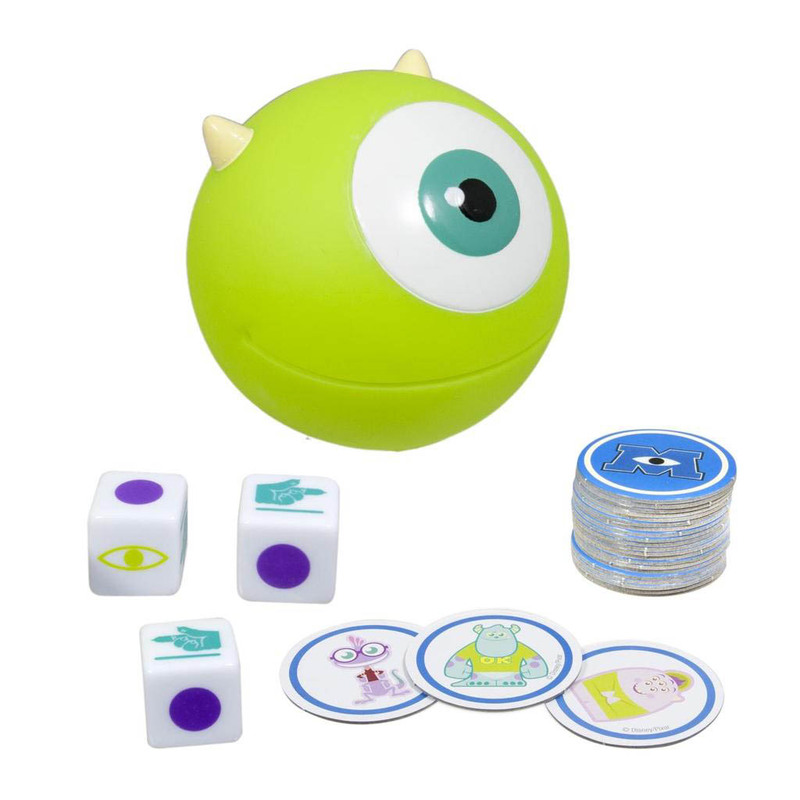 Use the Mike Dice Roller to roll the dice, and then do what each dice says: pass a monster token to the left, center or right. The first player to get all the tokens wins! Try your hand at the fast paced Monsters University edition game of Left, Center, Right that all the Monsters love to play! Use the Mike Dice Roller to roll the dice. Follow the instructions to pass a token either left, center or right! The first player to collect all the Monster Tokens wins the game! 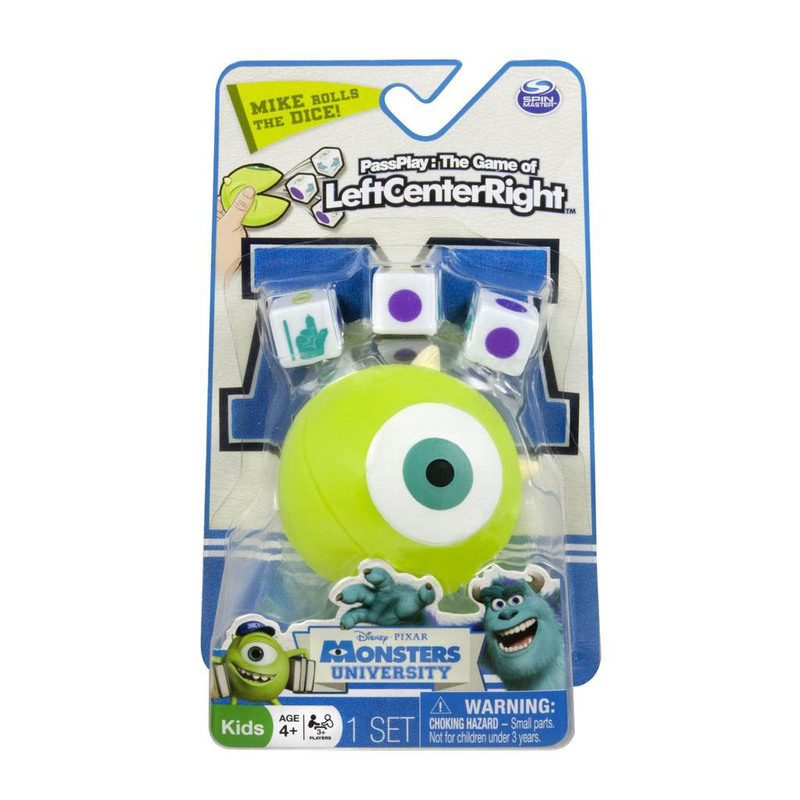 The Monsters University edition of Left Center Right is easy to play and great for the road! Designed for 2-4 Players, aged 4 and up.